Seven students from the Appalachian State University Business Entrepreneurship Department spent the last week working in a remote province in Cambodia called Svay Reing. 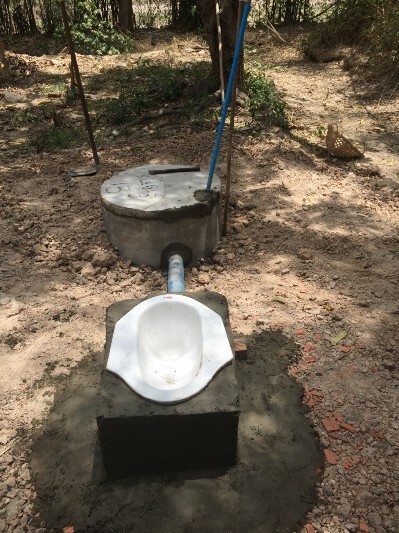 They successfully installed one latrine, distributed 50 ceramic water filters, and dug a well. They started by taking a tour of the RDI ceramic water filter factory in Phnom Penh. Wine To Water uses these ceramic filters in areas of Cambodia where high levels of arsenic are found in the water supply. Each ceramic filter is produced in Phnom Penh, Cambodia from locally sourced material. Their next stop was in Svay Reing where they spent the rest of their time in Cambodia. 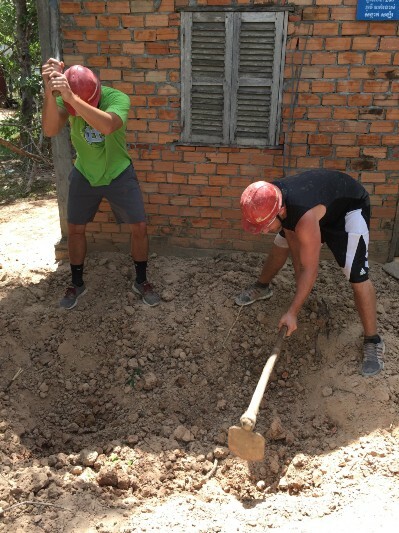 They also helped build a latrine for a family in need. The construction process is very straightforward and simple. However, the work can be quite back-breaking. Walls will be constructed around the latrine in the next few days to ensure it’s protected from the elements. Sanitation and hygiene are a huge need in the developing world. The Wine To Water volunteer program always incorporates this component into each service experience. They split into two groups and presented to over 75 children on the importance of washing your hands with soap and how to properly brush your teeth. Ya, in the yellow hat, helped translate. Lastly, they helped our local well team drill a brand new well. Our Cambodian team is very efficient at well drilling. It was great to see the volunteers and our local team working side by side. Relationship building is vitally important to poverty alleviation. These students got to see this process first-hand in Cambodia and do some relationship building of their own. We are so happy to have them in the Wine To Water community.